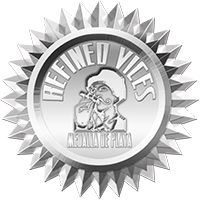 Disclaimer: Banks DIH no longer source their rums from Demerara Distillers but from around the Caribbean. The recent change is reflected in the labels of the newer bottles. The company would later go through a rough patch but eventually became a thriving business under the control of Peter D'Aguiar. In the late 1960s D'Aguiar Bros Ltd merged with Banks Breweries Ltd and has since been known as Banks DIH Ltd.
Today the multi-billion dollar company is headed by Mr. Clifford Barrington Reis and the different divisions within the company produce a myriad of various products including different kinds of food products, beverages and spirits, which of course include the Demerara rum range. The Banks XM rum range consists of XM 12 Year Old, XM Royal Extra Mature 10 Year Old, XM Five Year Old, XM Classic and XM light rum. XM Royal Extra Mature Demerara Rum is blended and bottled by Banks DIH, who buys a stock of 10 to 12 year old rums from Demerara Distillers, aged in their 60-65,000 barrel warehouse in 180 litre American white oak bourbon barrels. Once blended, the blend is left to marry in 200 imperial gallon sherry wine casks for 6 months before being bottled at Banks' own bottling facility. Not only does the name speak about royalty but also the royal blue and gold presentation of the tin cylinder and the labelling of the squat bottle, it contains. In the past the appearance of XM Royal has not so much been royal blue as it has been golden beige. 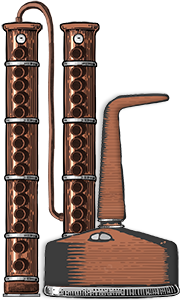 The bottle holds an auburn colour while in the glass the rum displays a spectacular copper and deep mahogany colour with a golden sparkle. The nectar forms impatient and inconsistent thin but viscous legs. The sweet nose of XM Royal first salutes you with cool dry notes of wood and vanilla, the fullness of toffee and offers you an assortment of pecan nuts and almonds with the ever so slight notes of underlying coconuts that invite you further to the drawing room to sample some fine caramel and chocolate. Full bodied with toffee and familiar Demerara flavours. 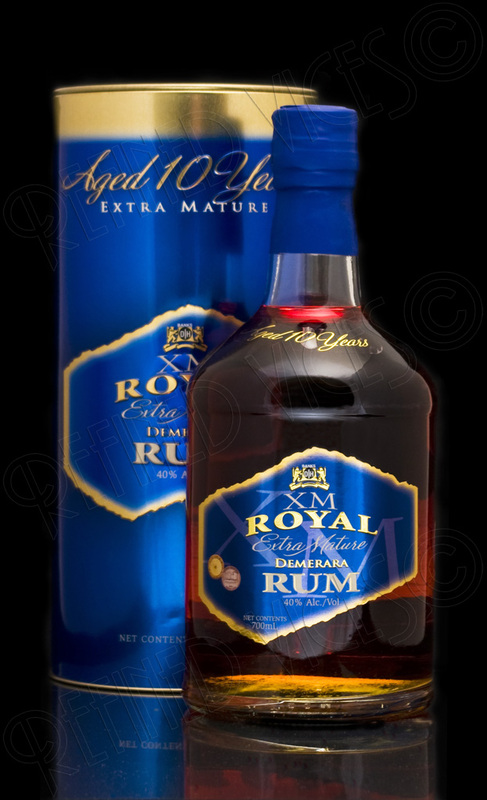 XM Royal is sweet and quite smooth with a slightly sharp note reminding you that this is infact rum you're drinking. Mainly earthy and woody notes dominate the somewhat light palate. The rum warms the body and leaves pepperiness in the mouth as it is swallowed, delivering a breath of floral notes, chocolate and pleasantly lingering vanilla that dances in the mouth for a while before being followed by a smooth flavour of coffee beans. I like this rum, though not quite as good as the El Dorado 15 year old; it has its own place in the shelf among good Demerara rums.